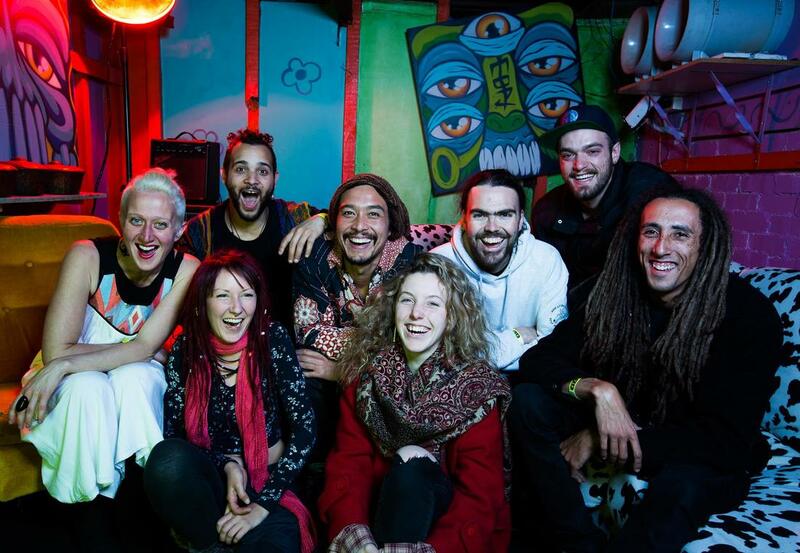 Rhythm Hunters blend sounds from Indonesia, Japan, Africa and modern day Australia to provide cutting edge physical percussion, didgeridoo, Western horns, Asian flute, deep grooves and ethereal soundscapes that mesmerize and captivate. Credentials include main-stage performances at Woodford Folk Festival, National Folk Festival, Peat’s Ridge, The Dreaming, National Multicultural Festival, Cygnet Folk Festival, Island Vibe, and Mullumbimby Music Festival. For special events Rhythm Hunters have performed at venues including Parliament House Canberra, Sydney Town Hall, Crown Casino Melbourne, Dalton House, Government House, The Hilton, Luna Park, The Domain for Sydney’s annual Carols in the Domain as well as being featured nationally on Channel 7′s Sunrise Show. Rhythm Hunters is like no other group delivering a visual fusion of new approaches to drumming, indigenous songs, sharp melodic breaks with strong influences from the shamanic traditions of Sumatra, Indonesia. Of Acehenese heritage, group leader Rendra Freestone has developed Taiko drumming alongside the shamanic Sufi-like traditions of Indonesia into a show that has been wowing audiences nationwide. Rhythm Hunters has, power, pizzaz, funk, innovation and hard old school discipline which is being delicately channeled into their irresistible sound and Sweet Indo-Pacific Grooves. Rhythm Hunters seems to be a force of nature rather than a grouping of musicians…a show that was so musically engaging and complex that it feels like you have slipped inside an ancient myth or otherworld. I was clearly unprepared for the power of this act. $20 / $15 members and conc.